US band TEMPEST has been an ongoing venture since the late 1980’s, with some line-up alterations occurring along the way as is natural for a hard touring, long lasting band like this. Under the leadership of Lief Sorbye they have more than a dozen album releases to their name, have played thousands of concerts all over the world, and is in general what can be described as a very well known name in the niche segment of the music industry in which they operate. “The Tracks We Leave” is their most recent studio production, and was released through US label Magna Carta in 2015. With Tempest just about anyone will know what they get, but for those who haven’t come across this band yet, Celtic rock and folk rock are the main descriptions used about them. Within the communities with an interest in music of that nature, Tempest is a name just about anyone is aware of, that they are regular performers at some of the better known folk music festivals in the western hemisphere probably indicates just the stature they have in those circles. What we often get with bands as long lasting as this is an album that reeks of experience. These are musicians well aware of what works and what doesn’t work musically, the main question is if they manage to capture the energy of their live performances into the mare tame environments of a recording studio. And from what I can tell the answer is a positive one on this occasion. I rather guess that some of these tunes will sound better live than on album, but by and large this CD is a satisfying experience as well. Mandolin, electric guitars, flute and violin forms the backbone of most of the compositions here, in various guises and arrangements. Quite a few are clearly and undeniable relying on the Irish and Celtic heritage, with drums, electric guitars and organ adding a rock vibe to the proceedings in an effective manner. Both the instrumentals and songs featuring vocals work quite nicely as well, with strong and controlled lead male vocals and a satisfyingly contrasting female backing vocal making it’s appearance in some key moments. The violin and flute alternates between being melancholic, mournful and uplifting, sometimes combining these features in the same arrangement as well. While the Celtic and Irish orientation comes across as dominant, there are other aspects to this CD as well. An ancient, Norwegian folk tune has been included, a couple of other tracks feature certain elements that possibly has something of a Norwegian folk music touch to them as well, and there’s even a song where the band opts to include a recurring, lazy reggae passage. Those fond of world music rather than strictly western oriented folk rock gets a slight nod as well, with the more Middle Eastern scales and notes used to good effect on concluding cut Surfing to Mecca. While folk rock, just like many other aspects of rock music, arguably had it’s heyday a few decades back, there are still artists exploring this type of music and still people with the desire to listen to it. 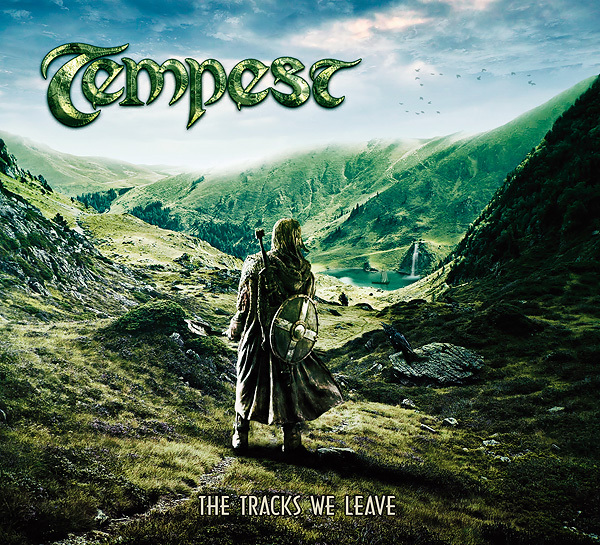 Those who have a general taste for music of this nature, and then in particular for those with a certain affection for artists operating out from a core foundation of Celtic and Irish music of this kind, can note down that this album by Tempest is a safe, good quality choice.